I recently posted to facebook a link to an article talking about the scientific proof that GMO’s are safe. The article was great, after reading it how could anyone argue the safety of GMO crops I thought. A friend commented on my post and simply said, “sounds just like Global Warming”. This made me think. I for one am not a believer in Global Warming or Climate Change or what ever they try to call it next. Scientists have been claiming for years that Earth’s temperature is rising and foretelling dire consequences that are bound to occur as a result of our failure to change the way we live. Al Gore declared several years ago that the debate over Global Warming is over, who can forget his pictures of the polar bears floating away on what was left of the poplar ice caps. But I still don’t believe! So I believe that we are missing the boat if we continue to use science as a justification for our modern production practices. It is easy to cite a scientific study that justifies the way we produce our product, but our consumers aren’t buying it. A little over a year ago I had the opportunity to spend three weeks in Germany on an Agricultural tour. German farmers are unable to use many of the new production tools that we use in America, they are simply not allowed. No GMO’s, no Growth hormones, not because science has found anything wrong with them, European Scientific studies have found that they are safe, but they don’t trust their own science. The German people (Europeans in general) don’t trust science and “Big Agriculture” to look out for their safety and their best interest in making decisions regarding food production. They seem to love farmers, farmers are their neighbors and friends. Farmers Good, Science and Ag technology bad. As a result Agricultural technologies are very restricted. Don’t get me wrong, I’m not saying that science or scientists are in anyway bad or that Agriculture should not use science to improve our industry. We in Agriculture need be continually working with the science community to improve our industry. All new Ag technologies need to be proven by science to be both safe and effective. But that alone is not enough to convince the public. So if American agriculture is going to continue to use the technologies and tools we use today along with the new ones being developed all the time, we will have to find ways to convince the public that they are safe and that we really do have their best interest in mind. We live in a time when people are more concerned about how their food is being produced than ever before. Most people don’t fully understand how we grow their food or why we do it the way we do, but they are extremely concerned that it be done in a manner that they deem to be safe and responsible. So how do we do that? How do we convince our consumers that our production systems are safe and responsible? I don’t know for sure. I do know that there is not any one silver bullet that will convince everyone, I think that is what we have relied on science to be for too long. I do have to think there are a few things we can all do to help assure the public that what we do is safe and responsible. We have to speak out and tell our story, tell it in ways that people can relate too. Share pictures of our farms and animals, host tours, connect with people. I am convinced that we need to put a human face on agricultural production. If the public is not willing to trust Science, then we need them to trust us. Fifteen years ago next month Holly and I bought our first truck load of Jersey Springer heifers. Since that time we have grown our dairy and moved from a rented dairy (my grandparents) to the dairy we purchased and remodeled here in Cove. We’ve had our share of ups and downs, been through good times and bad. Overall it has been a good ride. We have been joined on our dairy by our six children, made many great friends, not only here locally but around the state and across the county. The experience has helped us grow into the people we have become, and I would not change a minute of it. The last three years for us have been very difficult with feed prices reaching all time highs, diesel prices over $4/gal., and milk prices that just have not been able to keep up. It has become increasingly obvious that we needed to make a change in order to support our family. So, last Saturday we sold our cows. Not all of the cows, but most of them (all but ten which are currently being milked at a neighboring dairy). We still have all our heifers, which we plan on selling as they get ready to calve. I have been a little bit lost these past few days, I wake up by 5 every morning and wonder what I should do. I go out to the dairy but without the cows there to milk there is just not that much work to be done. I feed the few calves we still have and the heifers but that doesn’t take very long. There are a few odds and ends that I need to get finished up, and some manure to get hauled once the fields dry out, but things are pretty quiet right now. So what now? My passion for agriculture will not allow me to stop farming in some fashion permanently, or even for very long if I can avoid it. I have spent the past week at USU attending a class on cheese making with the intention of bringing home the knowledge I gained and start making artisan cheese from the milk we get from the few cows we still have, and then sell that cheese straight to the public. This will be a new and very different adventure for our family. We have never dealt directly with our customers before, but we look forward to that opportunity. My hope is for my family to be able to more effectively share our story and the things we are passionate about through our interaction with our customers and the marketing of our cheese. At the same time I hope to be better able to preserve the lifestyle my family has come to enjoy by living on the farm. I am sure the learning curve will be quite steep as we learn to make and market cheese ourselves, but we have never been ones to run away from a challenge or a little hard work. There is much to do to remodel the barn and make it suitable for cheese making and possibly some retail sales, so I will be working on that for the next several weeks (this is not something that will happen overnight). Once we start making cheese I am sure it will take some time to perfect our recipes and age the cheese to a point we feel comfortable marketing it. At this point we are not even sure what type of cheese we want to make, I’m sure there will be a variety. So while I still like to consider myself a dairy farmer, my dairy will begin to take on a very different look and feel as we move forward. We still plan on raising healthy, well cared for jersey cows and calves (just not nearly as many as we have in the past), and a few goats for Kyle. But we hope to be able to find a niche that will allow us to support our six children and provide for their future not just today but for many years to come. 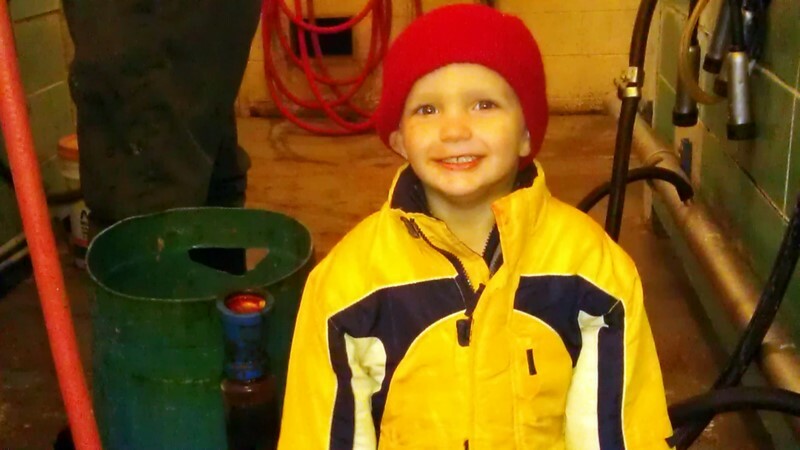 Kids can work on farms! 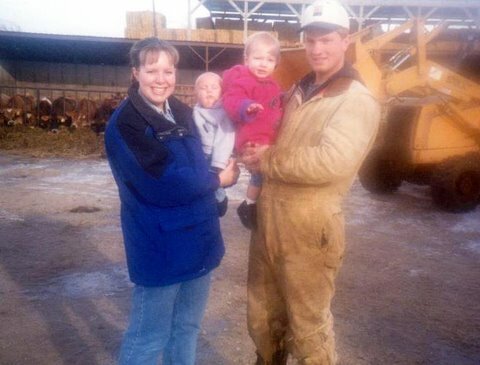 I guess some people want to make it so kids won’t be allowed to work on farms anymore. That would be sad, because my brothers and sisters and I work on the farm pretty much every day. I personally like to work on the farm more that I like to work in the house! Some of the chores I can do to help are milking and feeding calves. When I help milk, I get the cows in the barn. Six cows at a time. My little brothers like to do this job with me. I also spray the teats with a sanitizer, and when the cows are finished milking I can take the milker off. When I feed calves I first mix up the bottles of milk, then I carry them out to the calves and set the bottles on the bottle holders. When the calves finish drinking I gather up the bottles and take them back into the barn to wash them out really good. Sometimes a calf doesn’t feel like drinking, so then I climb in the pen and help it drink. Then I tell me dad that she doesn’t feel very good, so she might need some medicine. 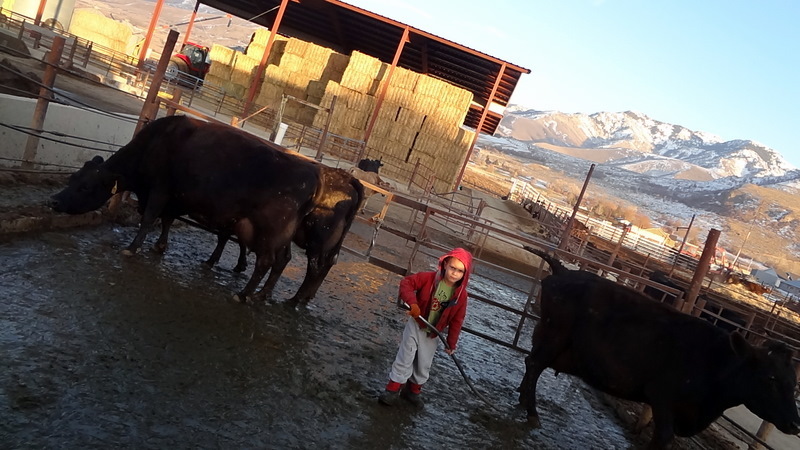 My little brothers Trevor and Casen like to kick the feed up to the cows and they always like to help us do whatever we are doing at the farm. I would be very sad if I was not allowed to work on our dairy farm. Today Kyle took the day off from milking which meant that the girl got to help. They always complain when it is their turn (which doesn’t come around very often) but they are getting to be pretty good help. We had quite a system going. As the cows came into the barn Hannah would spray them with the sanitizer. Kaitlyn and Rachel would wipe them dry with a towel. I would follow them and attach the milkers. I must say that today’s milking crew was much cuter and much quieter than normal. Milking lately has become a family affair. 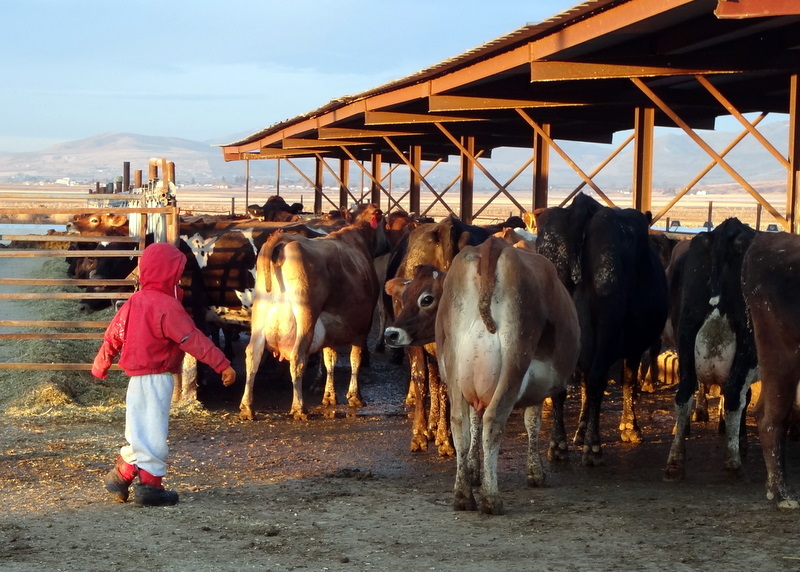 We have had record warm temperatures for January (mid 40’s) so Casen and Trevor have been coming out to milk in the afternoons, which can make for a full barn, but they are fun to watch. 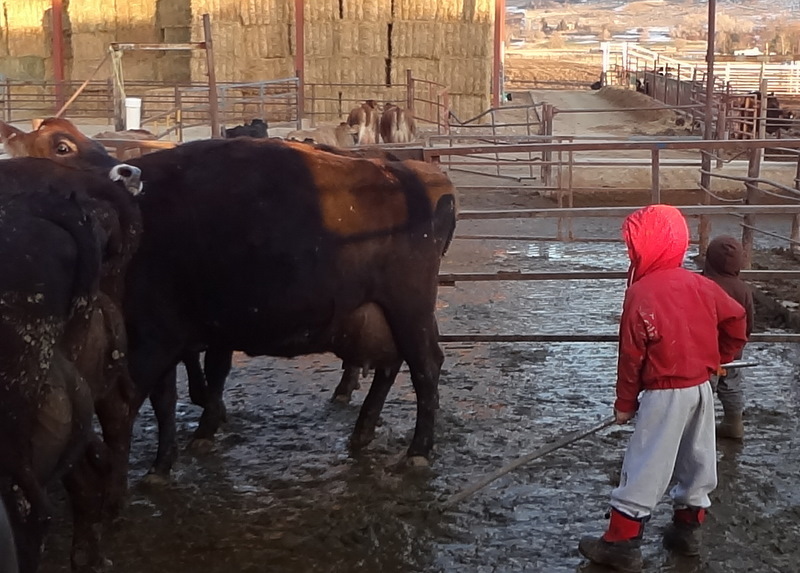 Trevor is becoming a good cow pusher, he goes to get the cows and pushes them in to the barn for us to milk. Quite often Casen goes out with him. Sometimes the cows look at him a little bit funny, but in the end he gets them where they need to go. Today the girls came out to help, Trevor pushed cows for us, Hannah sprayed them with iodine, Rachel wiped them with a paper towel, and I attached the milkers. Kaitlyn fed calves and Kyle scraped corals. We made short work of afternoon chores. As Christmas is coming to a close, I thought I would share some memories of Christmas on the dairy and some of our Christmas traditions. Unfortunately the chores have to be done every day regardless of what else we may want to be doing, even on Christmas morning. Some people may think that Christmas is no day to have to spend in a barn with a bunch of animals, but remember the first Christmas was spent in a stable. I try to do all the extra little things the day before Christmas, like mixing an extra load of feed for the milk cows and making sure there is plenty of hay and grain set out for the calves that can be quickly thrown in the mangers. This morning I woke up extra early (about 3:30) to get an early start on milking. Holly banned the kids from the living room until I got in the house so they couldn’t see what Santa brought until after the morning chores were finished (a tradition carried over from her family.) 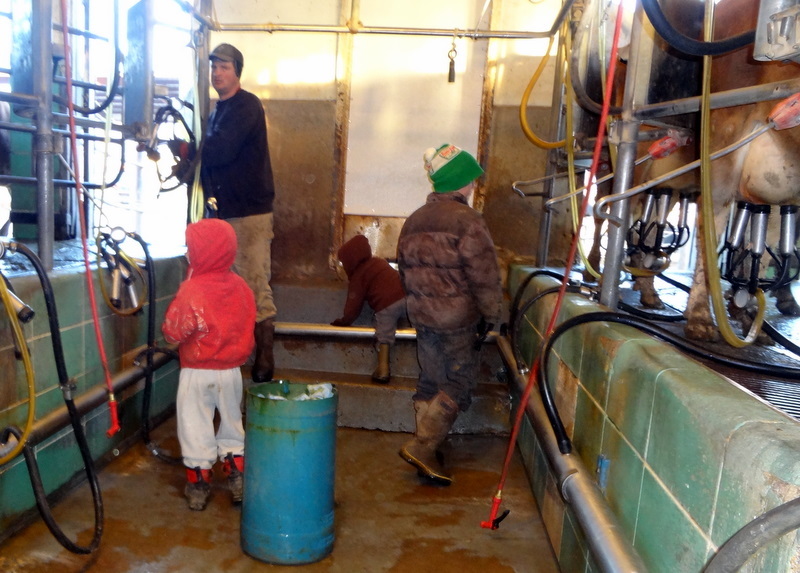 Most years the kids come out to help speed up the milking and calf feeding so they can get to their presents quicker. However this year Hannah (8) was the only one who came out and she got there just in time to walk back in the house with me. I did have some help this morning though, both my father and my brother-in-law (Brandon Muir) showed up about 4:40 and helped me milk, so I was able to finish up just after 6:00. Once all the animals had been taken care of we opened presents, went to church, and enjoyed time with family. I am reminded of one Christmas as a boy. I must have been about 13. My dad had been helping milk mornings on his father’s farm, my uncle, who usually helped with the morning milking had cut off part of his finger and was unable to get his hand wet while it healed, so my dad was filling in. My brother and I, and one cousin set our fathers’ alarm clocks back and snuck out early Christmas morning to milk and feed before they awoke. It seemed like the coldest morning I could remember (I think about -20), my coveralls got wet and froze stiff, (somehow I ended up being the one doing the outside work while the other two stayed inside and milked the cows). I made many trips back into the barn to stand by the heater and thaw out, so I could finish the outside feeding. We finished and tried to sneak back into the house just as my dad was waking up, realizing he was late. He met us at the back door to find out all the chores were finished. 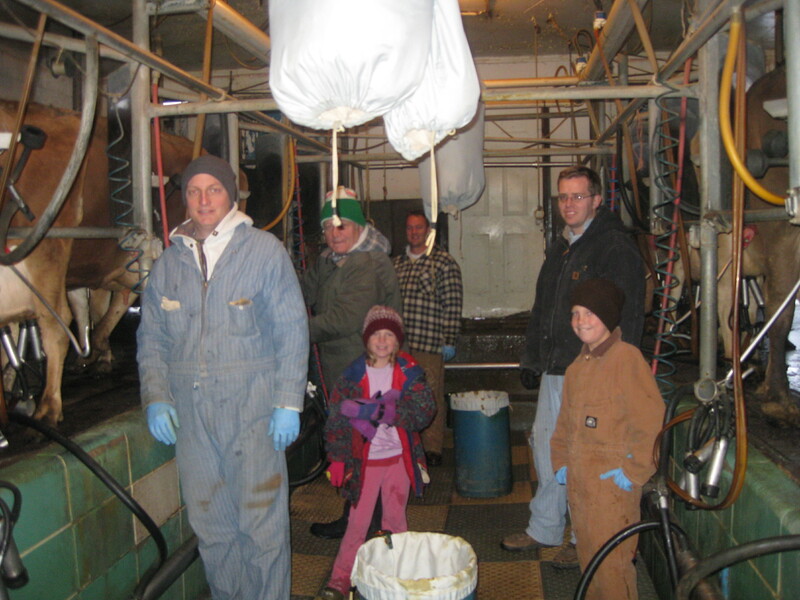 A few years ago I was surprised on Christmas morning as my dad, my older brother and two brother-in-laws showed up early to help milk so I could get in the house with the kids. It was quite a sight I ‘m sure, but we milked pretty fast. More help this morning made for a short morning of chores and more time with family on Christmas morning. This afternoon as we milked Holly brought Casen out to help; I think it was the highlight of his day to be out helping feed and milk. Holly got some good pictures of him. Christmas is a special day and time of year; everyone tries to do their part to part to see that the animals receive all the care they need without consuming our entire day. I appreciate all the help I received which allowed me to have an enjoyable day celebrating the birth of our Savior and spending time with family. On Friday night I got my turn to milk. Our milk tester (Scott) was there. Casen loves to go help. Every time I got the cows in he would yell “Go Go”. It was getting late, and I was going to take him in. But Case did not want to go. Finally he started to go. We only made it half way home we he saw a heifer out he ran and told dad “moo out”. By now we were milking the holsteines. Case was standing on the stairs. I stood by him and he leaned his head on me, next thing I know he’s asleep. 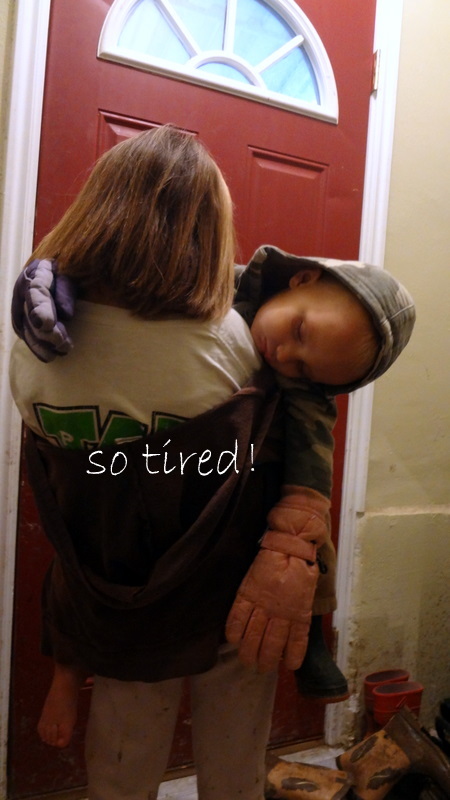 I carried him home, and he slept for a while.